Hello Friends. 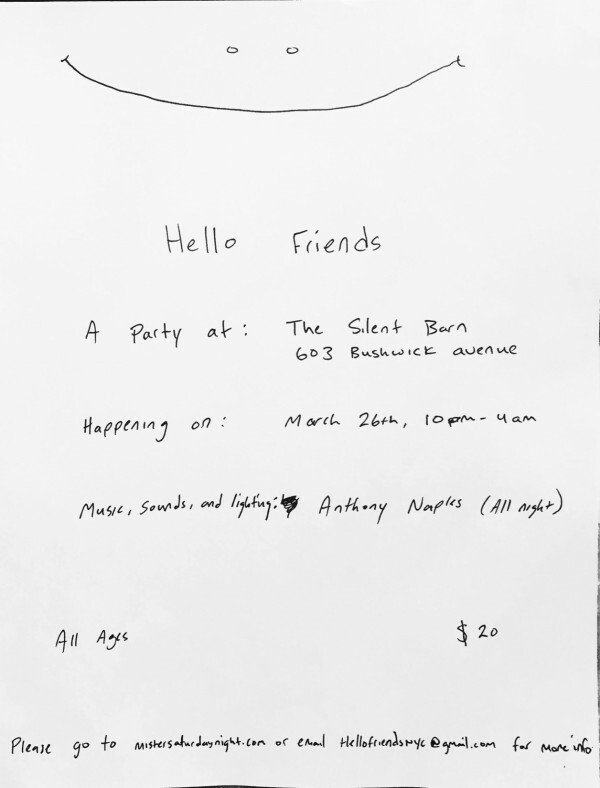 It’s Anthony Naples’ new party in New York City. Tony mans the turntables, lights and sound effects all night. Team Mister supplies the sound and the nice security guys. This is the first one. It’s at Silent Barn.